We offer 4 holidays covering the whole route - the longer the holiday, the shorter you have to walk each day. 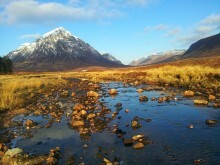 This holiday is for the more serious walker, covering the entire West Highland Way in 7 days. 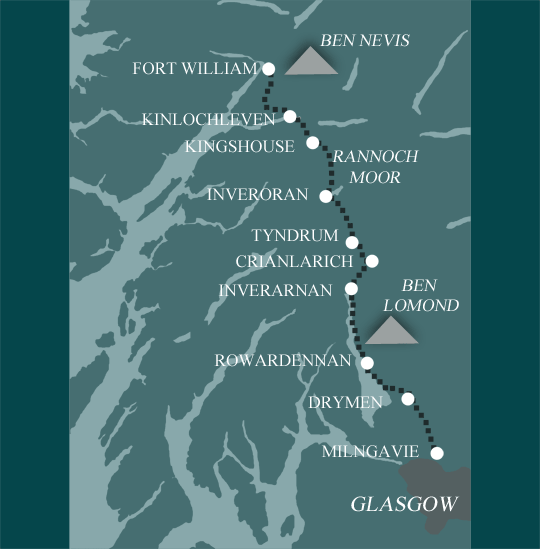 If you are a fit walker and want to concentrate on completing the West Highland Way, then this is the walk for you. If your itinerary includes a Friday or Saturday night stay at the Kingshouse Hotel, or falls at a particularly busy time, we may have to charge a supplement if you would like to stay at this accommodation. 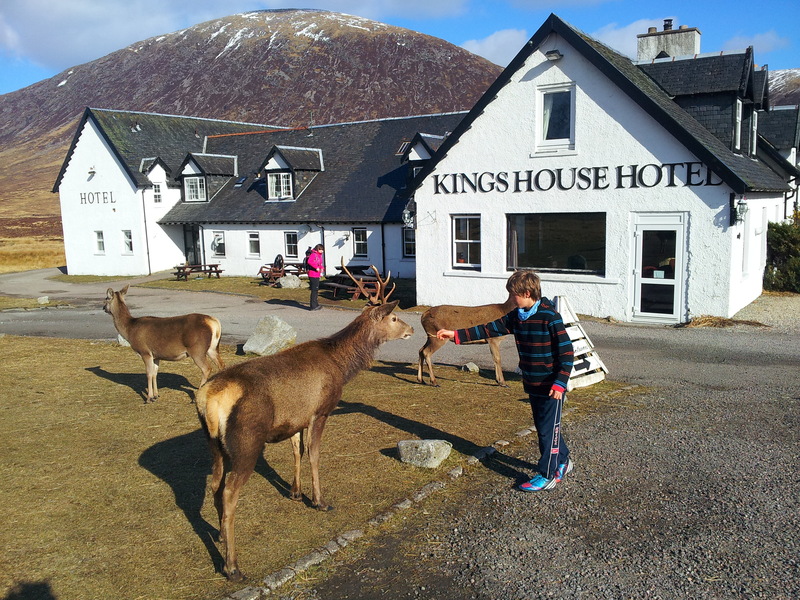 If you would prefer not to pay a supplement, we may be able to book two nights in Kinlochleven with a transfer to and from Kingshouse, just let us know when you book. The Way starts in Milngavie, a suburb of Glasgow. It travels across rolling hills and lowland plains. This is an easy pleasant walk along the valleys of Blane and Endrick with good views of the hills. The Way continues with a mixture of good woodland paths, moderate gradients on Conic Hill and hillside tracks. The approach to Loch Lomond is very picturesque. Today is mainly rugged walking over loch side rocks and tree roots with some scrambling. This can be a wild and demanding section of the Way, especially north of Inversnaid. With typical highland walking in glens and over low passes with moderate ascents and descents, on mainly well surfaced paths and tracks. There are many fine mountain views to be enjoyed today. A moderate to hard day with amazing scenery. The terrain is mainly good underfoot but it is highly exposed and can be difficult in bad weather – be prepared! Starting with a steep climb out of Kinlochleven followed by rough paths in Nevis Forest, your final day finishes with a gentle descent into Fort William. Thousands of regular walkers complete the WHW every year – but remember this is a challenging route passing through increasingly remote and mountainous terrain. There are some longer days too. This is a route for experienced walkers. Terrain: Varied – lowland meadows, foothills, loch sides, remote moorland, and high mountain passes – it has it all! What’s it like underfoot? The route is generally well maintained but there are sections where the going is rougher, and others where it can get muddy. The side of Loch Lomond is infamous for its difficult tree roots. How Much Up & Down? Not too much considering where you are! Over 4000m of ascent in total, with climbs of 300 - 500m on most days. The 2 biggest climbs – 500m up the Devils’ Staircase, and 700m out of Kinlochleven, are saved for the final 2 days. Navigation: Signposting is good and the route follows well defined paths, so no particular difficulties. But there are sections of remote wilderness (Rannoch Moor), and higher mountain terrain (where you may be in the mist on a bad day) so you need to be able to navigate – these aren’t places you want to get lost. Weather: Some people complete the whole route in fine weather, but most will encounter at least some rain, and possibly hill fog on the higher ground. Early or late in the season hail or snow are possibilities. Good clothing and waterproofs absolutely essential, even if you end up not needing them too often. One of the great features of our West Highland Way holidays is the quality of the accommodation, including small country house hotels, guest houses, bed and breakfasts and farm house accommodation. In selecting the accommodation we look for helpful, friendly hosts with good quality, characterful accommodation close to the trail. We always try to arrange en suite accommodation, i.e. rooms with their own bathrooms for each night of your stay. However, in some of the more remote locations accommodation is limited and occasionally we may have to book rooms with shared bathrooms for one or two nights of your holiday, (especially if the booking is made at short notice), but we will always let you know if this is likely to be the case. 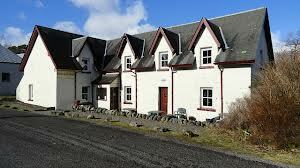 The Inveroran Hotel is an old Inn on the old drovers trail that is now known at the West Highland Way. The small bar is full of character and a great place to meet, chat and exchange stories with other walkers. A characterful Scottish Inn, in spectacular surroundings. Ashbank is a really cosy guest house run by a lovely and welcoming couple who do all they can to make your stay an enjoyable one. 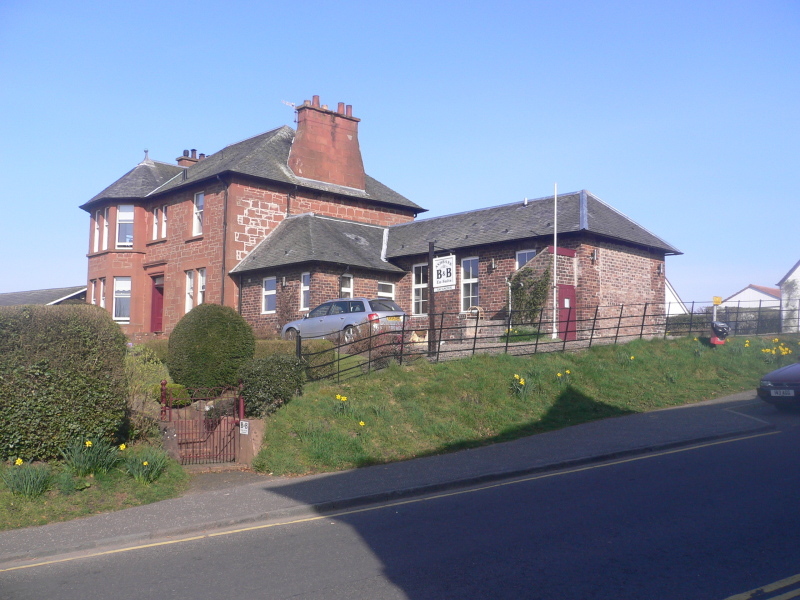 In the beautiful village of Drymen and not far from the pub, Ashbank is a popular choice for walkers. You will be sure to get an excellent breakfast and enjoy your stay in this delightful B&B. Possibly one of Scotland’s oldest Inns, The Kings House is in a very remote location in the Highlands. It has provided respite for travellers for centuries, offering shelter from the elements and rest from their journeys. You will appreciate the comfortable accommodation, hearty meals and delicious breakfasts. General travel information on the West Highland Way area will be in your holiday pack including train and bus timetables where available. By Air: The nearest international airport is Glasgow (GLA). There is a regular shuttle bus into Glasgow city centre (approx 25 mins). Glasgow to Milngavie is 7 miles, you can either: take a taxi from Glasgow city centre; travel by train directly to Milngavie, this takes 25 minutes; or travel by bus, which takes 40 minutes. By Public Transport: Milngavie has a railway station. Most services will pass through Glasgow. By Road: Milngavie is 7 miles north of Glasgow. For Glasgow, travel on the M6 north followed by the A74 (M). From Glasgow, follow the A81 direct to Milngavie. By Public Transport: Fort William has a railway station. Most services will pass through Glasgow (GLA). By Road: Head for either Glasgow (107 miles) or Edinburgh (136 miles) depending on the direction of your final destination. Today's village earns much of its living by providing goods, services and accommodation to passing travellers, mostly motorists heading up or down the busy A85 and A82 trunk roads. In doing so, Tyndrum is carrying on a long tradition. The village's origins date back to the days when droves of highland cattle from the north and west passed through en route to markets in central Scotland bringing lots of tired, hungry and thirsty drovers with them. This is a good location for a “rest day” in order to travel along the picturesque West Highland Train Line to visit Oban – a coastal resort with a difference - the town and its bay are virtually land-locked, giving it a sheltered setting. For memorable views walk up Oban Hill to McCaig's Tower or take a walk to Ganavan Sands and relax on the beach. Fort William is the capital of the West Highlands, situated at the head of Loch Linnhe. It’s not the prettiest of towns, but there are a good number of shops, and some good outdoor stores to browse around or buy new gear. A lot of people take an extra day here to climb Ben Nevis – Britain’s highest mountain (1344m / 4409ft). It’s a long day, and the weather can be harsh, so make sure you are fit and prepared!